Comedian Patton Oswalt endured through tragedy when he lost his wife, crime writer Michelle McNamara, in April of last year. After a brief hiatus, Oswalt returned to work, proving that laughter is indeed the best medicine. 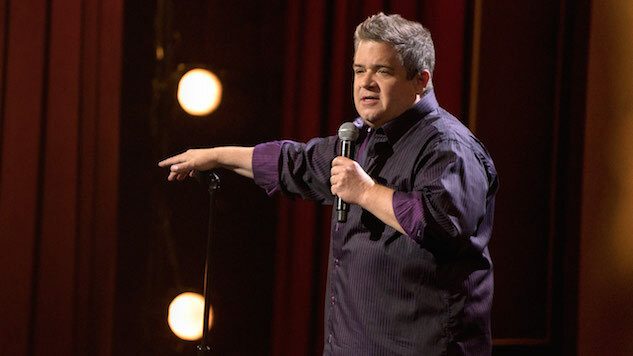 Netflix has announced a new special with Oswalt, titled Patton Oswalt: Annihilation. Filmed at the Athenaeum Theatre in Chicago, this special will use material that Oswalt developed during his grieving period, tackling topics such as “the angst of social media, the current political climate and being tricked by robocalls.” But largely, this set will focus on how Oswalt used humor as a mechanism to work through emotional pain. Oswalt announced an engagement with actress Meredith Salenger this past July. Oswalt’s previous Netflix special was the Emmy-winning Talking for Clapping, released in April 2016. Patton Oswalt: Annihilation will come to Netflix on Oct. 17.